In 1920, W.E.Baxter, the first Mayor of Lewes, gave the Pells Ponds to the people of Lewes as ‘a pubic pleasure resort’. 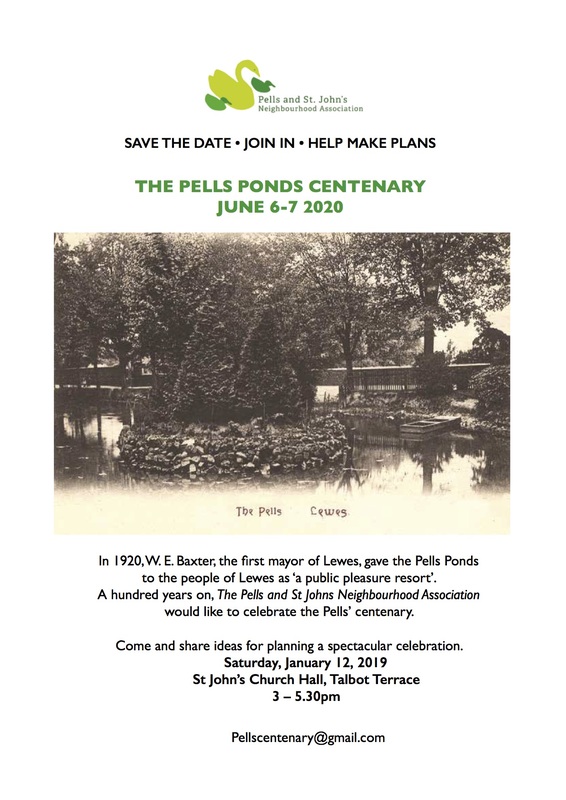 A hundred years on, The Pells and St Johns Neighbourhood Association would like to celebrate the Pells’ centenary. Have you ever lived, worked or played in the Pells or gone to the Pells school, St John’s sub-Castro or the Elephant and Castle pub? Do you have any photos, posters or unusual information or memories about the Pells? If so, we would love to hear from you or do come to our meeting in January and share ideas for planning a spectacular celebration. 3 – 5:30pm, Elephant & Castle Pub.